Mothertongue is split into three major parts, each recorded with a different vocal artist and making use of the human voice in a particular way. On Mothertongue, Muhly collates words sung by mezzo-soprano singer Abigail Fischer, phone numbers, address, names of American states or capital cities of countries in West Africa, assembling them into chaotic formations, at times placing them in overlapping clusters of range and tone to give the mind very little other option than to focus on the sound of the voice, and the sound made to form the words, rather than the meaning of the words spoken, and at others spreading them out into more comprehensible groups. While the flow fluctuates over the whole four parts of Mothertongue, it is on the opening two sections, Archive and Shower, that the density is at its most extreme, and if the pace picks up again on the closing part, Monster, words have by then become almost entirely inaudible and redundant, a process started on the third part, Hress. Wonders, which follows, is quite a different piece. Recorded with Icelandic artist Helgi Hrafn Jónsson, who sings and plays the trombone on the three parts of this composition, which has for starting point a madrigal by seventeenth century English composer and organist Thomas Weelkes. Wonders adopts in part melodic structures and musical forms of the era, especially in its middle section, The Devil Appear’d In The Shape Of A Man, when two vocal lines keep on crossing paths and circle around each other like combatant engaged in a stand off fight, while harpsichord and trombone become more intertwined and cacophonic as this section develops. What starts as quite a benign songs on New Things And New Tidings, becomes progressively more complex and twisted. On A Complaint Against Thomas Weelkes, an anonymous complaint to the bishop of Chichester against Weelkes’s depraved behaviour and bad temper, phrases are sung without apparent leading structure, words delivered in rhythms that go against normal speech, confusing the information further by, once again, focusing on two main vocal lines evolving concurrently. While presented as the last piece on the album, the whole of Mothertongue is articulated around The Only Tune, and actually began with its recording. Featuring fellow Bedroom Community Sam Amidon, who provides vocals and plays banjo and guitar, this triptych piece is rooted in folk music, with at its core a disturbing ballad about two sisters, one murdering the other, that Muhly recalls his parent singing when he was a child. Declined over The Two Sisters, The Old Mill Pond and The Only Tune, this song, which takes shapes amongst a blend of dissonant electronics and instruments which are progressively streamlined before fading away completely, leaving the bare melodic skeleton carved by Amidon’s banjo at the end of The Two Sisters. As the tale progresses down The Old Mill Pond, Muhly brings back some musical elements, first in powdery form, with occasional found sounds, then with more substantial orchestral layers, until a new dissonance is once again at the heart of the piece. The last part of The Old Tune is much more bucolic, highlighting the contrast between the soft tone of the song and the gruesome story behind the words. Mothertongue is a much more complex and intricate work than Speak Volumes, and requires much more involvement from the listener, but it is also an astounding tour de force. Here, Muhly brings classic instrumentation, electronics and voices together into a piece of work which is at the forefront of contemporary classical music. Truly magnificent. A terrific album; very ambitious, and he has the talent to pull it off. Can’t decide which I like more – the first piece (with the jumble of words), or the last one (with Sam Amidon) best. We had Valgeir and Sam Amidon on the gLASSsHRIMP show on Resonance FM the other week too, there is so much talent on that little Bedroom Community label. 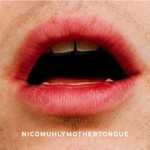 Mothertongue is such a brilliant work, it’s completely unbelievable that Nico is so young. I think the piece I piece I prefer here is actiually Wonders. I love the juxtaposition of the modern and the really traditional old folk, it just works so well, but the two other pieces are just as brilliant. Bedroom Community continues to deliver time after time, and with very different records. Valgeir seems like he couldn’t put a foot wrong if he wanted to.